England will play against Russia in EURO 2016 on Saturday. England come to this group with excellent results. They have won all the matches during the qualifications 10/10. During their friendly games the record is also quite good. The defence might have some issues during this tournament, but the attack is really amazing and Hodgson has many players to choose from. Captain Wayne Rooney will create a lot of chances for the team as number 10 behind the striker most probably Harry Kane. Vardy and Sterling are also available. On the other hand Russia is struggling over the last 5 friendly games. With only one victory( the only game they kept clean sheet) three losses and a draw. The best player of the squad Dzagoev is injured and will miss EURO 2016. In the last friendly game another key player Denisov got an injury and will also not participate. 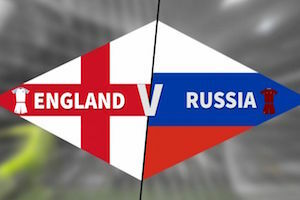 The young attack of England will have advantage against Russian defence that is why they will come out of this game with victory.